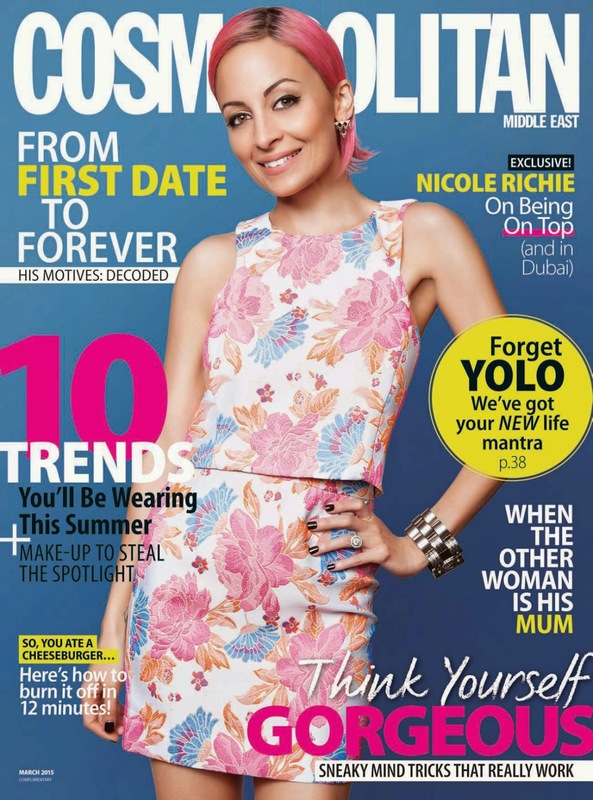 Nicole Richie graces the cover of the March 2015 edition of Comopolitan Middle East. Nicole Richie wears a floral co-ord by Patrizia Pepe on the Cosmo cover. Nicole talks all things from the early Simple Life days, her relationship with husband Joel to her beauty rules. Click on the images to read the full article. For higher quality viewing, right click and open in new tab to enable zoom function.